Slate roof tiles are a hugely popular choice amongst those renovating an old property or constructing a new build. This is due to the iconic style slate roof tiles provide. This is particularly the case for those crafted with Welsh slate. These tiles also provide this wonderful aesthetic whilst still proving incredibly durable. 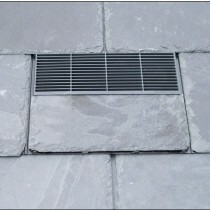 This is why slate is used on a variety of roofing projects. 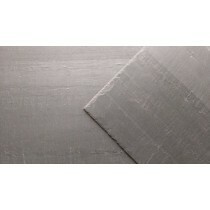 Slate roofing tiles are available in a variety of colours. 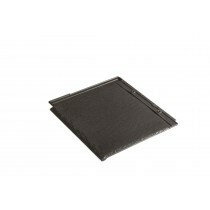 These include the traditional grey of Welsh slate roof tiles. Our range also includes those with rugged, traditional edges and much cleaner, modern lines. This helps towards ensuring you’ll find the perfect slate for your property and the surrounding area. 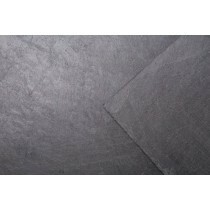 Redland is just one of the renowned manufacturers whose slates are available at Roofing Megastore. 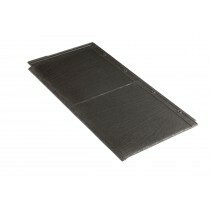 We also stock a range of Roofing Megastore roofing slates. These provide you with brilliant durability at a low cost. Have Questions About Our Slate Roof Tiles? If you have questions about our range of roofing tiles, speak to our team by telephone or via the online chat. With over 40 years of experience in roofing, we’ll help answer your questions about slate roof tiles. We will also help you pick the necessary fixings and flashings for your project. Slate roof tiles are a truly beautiful and incredibly durable roofing material that’s easy to fit. This makes them ideal for virtually any roofing project, whether you’re reroofing a home or office. There are, however, a few common questions our customers ask before buying these roofing sheets. Below are answers to each of these! Are Natural Slates Prone to Chips and Cracks? Whilst slate roof tiles are more likely to chip and crack than artificial alternatives, we source our slate from the most respected quarries throughout Europe. This ensures the slates meet the strict requirements of British Standards, which dictates the tiles thickness and ability to flex. You can therefore have confidence in your choice of roofing material when buying slate roof tiles from Roofing Megastore. The cost of a slate roof can be heavily dependent upon the size of your roof and individual tile. The typical cost of a roofing slate is between £1.30 and £1.70. You must then consider any flashings or fixings that are required, such as ridge tiles. Whilst the labour cost of fitting a slate roof can be high, there is virtually no ongoing maintenance required. 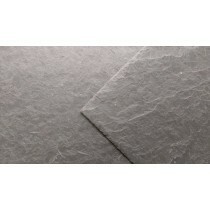 What is Best - Natural Slate or Artificial Slate Roof Tiles? Roofing Megastore supply both natural and artifical slates. Whilst both offer beautiful auesthetics and incredible longevity, there are a few differences between the two options. Firstly, artificial roof slates are considerably lighter at as little as 12.6kg per square meter. Natural slates, however, will typically age more naturally and can be better match with adjacent buildings. Due to our variety of natural roofing slates being quarried from various parts of the world, you can find subtle differences between each of them. Artificial tiles, however, typically provide a single aueathetic that is much like traditional Welsh slates. Ultimately, the decission is based upon the auesthetics you're looking to achieve and whether your structure is able to withstand the added weight of real slates. Which is Best - Welsh or Spanish Slates? Our range of natural slates includes both Welsh and Spanish varities. Due to them both being sourced from respected quarries, they offer a similar lifepsan. There are, however, slight auesthetic differences between our Welsh and Spanish slates. Our Spanish slates have a particularly wide variety of finishes, with them being being available in various thicknesses and profiles. Ultimately, the decission is based upon the appearance you are looking to achieve. If you have more questions about our roofing slates, speak to our team online or by telephone. With over 40 years of experience in roofing, we'll help answer your questions and will ensure you have everything you'll need to complete your roofing project.